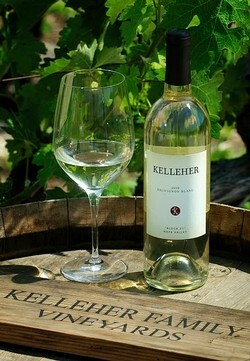 Our 2010 Kelleher "Block 21" Sauvignon Blanc is bright and crisp with notes of stone fruit and melon. We produced just 304 cases of our classic Napa Valley Sauvignon Blanc. The cool growing season meant additional hang time, approximately 20 days longer than the 2009 vintage. The aromas are focused with strong notes of stone fruit and melons. The pallet is bright and crisp with a sense of richness that makes this wine memorable. The fruit forwardness is enriched by the depth that battonage imparts on the wine. There is a splash of spice that lingers on the long and memorable finish. Production Notes Whole Cluster Pressed and settled overnight. The next day the wine is racked off the lees, and warmed to 60 degrees. Native fermentation begins after 3 days, and once fermentation begins the fermenting juice is barreled down into 90% stainless steel barrels and 10% used French Oak. Fermentation last for approximately 20 days, and the wine is continually stirred for three months. Love this Sauvignon Blanc- the stone fruit flavors perfectly balanced with the acidity make for a beautiful and versitile glass of wine.